Paper isn't just for coloring on! Numerous craft projects use paper as their base. From card making to quilling and decoupage, there's a paper craft suitable for any age or skill level. 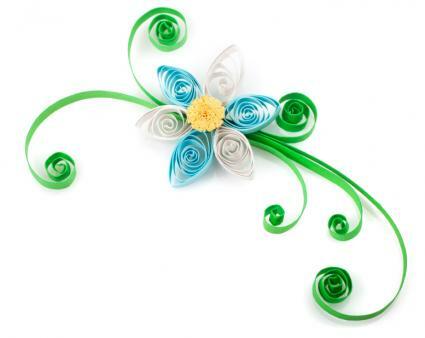 Quilling: Learn how to do some basic quilling, then find out where to find free quilling patterns so you can tackle some projects of your own. Cutting: Find out more about the different arts of paper cutting, and get lots of resources for finding patterns. Paper Mache: Paper mache can be used to create a lot more than elementary school art projects. Learn how to make it and get some ideas for using it. Card Making: Download free templates that will get you started on the road to card making. Printable Crafts: Download and print out some great paper crafts like bookmarks and a fingerprint tree. Paper crafts can be as innovative and versatile as you are as a crafter. Take a look at some project ideas to get started on your own paper crafts today.